In her needle-felted animals, Holly uses a wide variety of high-quality wool, as well as hand-blown European glass eyes. Her larger pieces, which include automata and mixed media figures, are uniquely designed and handcrafted from wool, fabric, wood, and polymer clay, among other materials. Holly lives in Guilford, Connecticut with her family. Animals – large or small, I love them all! So it is no small wonder that they feature so prominently in my work. Additionally, my love of books, specifically children’s books, is a big influence on my world view. It’s a whimsical world of anything being possible that drives my imagination. Bears can ice skate and sheep can knit! Browse through my web site, and enjoy my world of fun fiber art! Holly is an alumna and former faculty member of the Paier College of Art, in New Haven, Connecticut. Working in a wide variety of materials such as natural wool fibers, wood, metal, paint, epoxy and polymer clay, she creates hand crafted miniatures with great attention given to the details of each piece. Her work has sold nationally and internationally, and has been showcased in various galleries and art centers throughout Southern Connecticut, including Guilford Art Center’s show "Artistry." 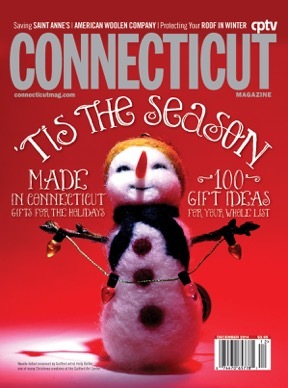 In December 2014, her artwork was featured on the cover of Connecticut Magazine and in September 2015, she won the "Reader's Choice Award" in the "Best of Connecticut 2015 Art Exhibition," sponsored by Connecticut Magazine. 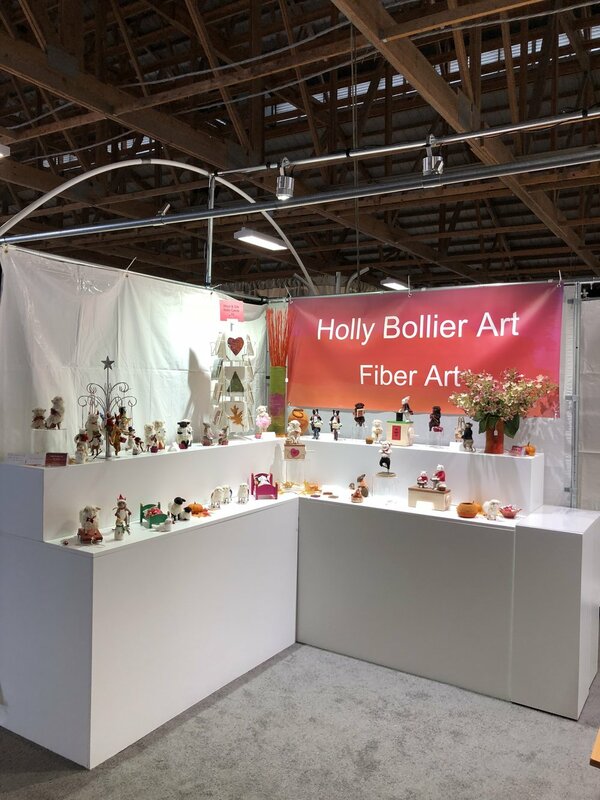 Holly is a member of the Northeast Feltmakers Guild, and lives in Guilford, Connecticut with her architect husband, two dogs, and four cats. To see information on my upcoming shows, please visit my Events page. Each piece that I make is completely unique and handcrafted from wool, fabric, wood, and polymer clay. Check out the photos below to see how I work! I like to use polymer clay for lots of fun accessories because of its flexibility. Needle felting is the process of sculpting wool with a tiny specialized needle (a word of caution: it is an addictive craft!). 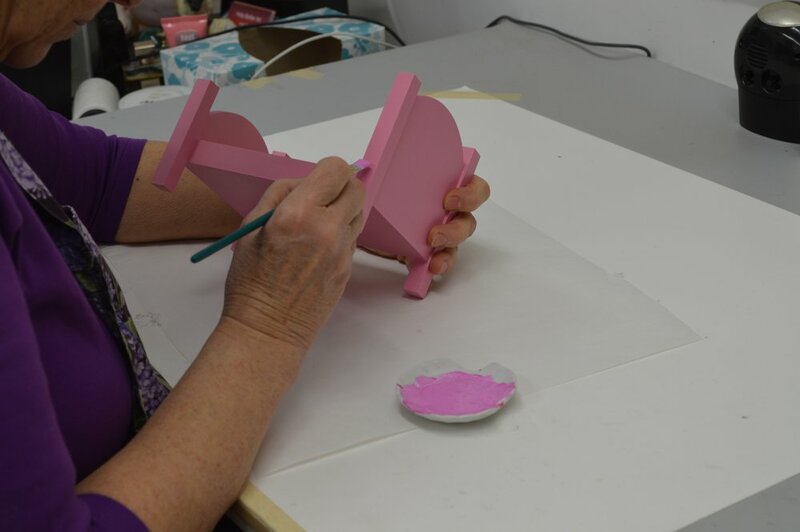 I like to paint my woodwork with either acrylic paint, or permanent dyes. Sewing miniature outfits and accessories for my little figures reminds me of when I made dolls clothes for my daughter years ago!! When it’s time for wet felting, it’s time for a soapy mess! I have a small wood shop in my basement where I cut and assemble all of the pieces for my automata and miniature accessories for my figures.